Home theater systems are a dream-come-true for TV and movie buffs alike. It’s the ultimate haven for audiophile enthusiasts. However, choosing the right audio and visual equipment do not create the perfect home theater experience. The décor and ambiance of the room are just as important. The equipment, the furniture, the placement of things add to the charm of any space. Your home theater system needs to have all the elements you enjoy while you watch a movie by yourself or with friends and family. 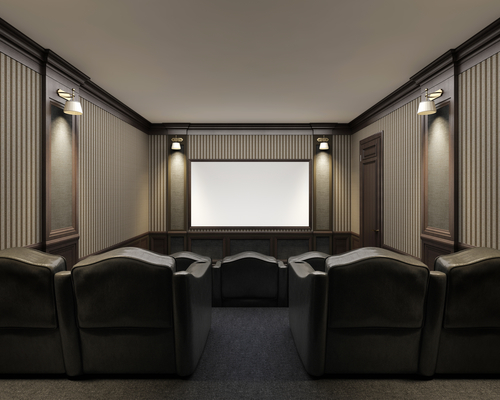 Here are useful decor tips for your home theater space. A functional home theater experience has great seating. Choose plush sofas for a cozy vibe or traditional couches, wooden armchairs, or even cinema-style rows. Even consider stadium-style of seating as it ensures that everyone has a clear view of the screen. Whether you go for chairs with colorful upholstery, plush leather couches, or custom-style seating, keep in mind that comfort and convenience are two main features of a good seating arrangement in your home theater space. Keep in mind that you and your guests will use it for long hours and nothing beats absolute comfort. Every home theater requires good lighting. 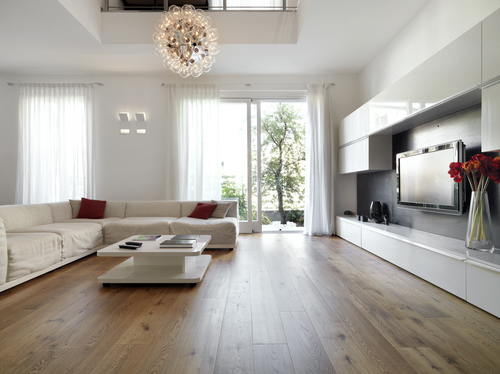 Lighting impacts the look and feel of any room. Scones or track lighting are the usual favorites of home theater enthusiasts. They provide soft light that never interferes with the film, while also making it comfortable to move around the room. 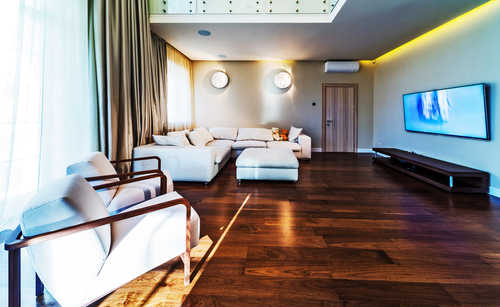 If a remote-controlled dimming feature is workable for you, absolutely throw that in and enjoy optimal brightness or darkness in the room. If you have a stadium-seating set-up, consider a LED-style floor lighting. The safety feature in such a lighting style helps people navigate the floor in the dark and also creates that authentic movie theatre experience. After choosing your perfect seating style, you need to look at accessories that enhance your home theater experience. If you have cinema-style rows of chairs, make sure they come equipped with trays and cup holders. If are going for single couches add small side tables to hold drinks. Choose premium upholstery and high-end seating where the chairs respond to the action on the screen by vibrating or moving. If that’s not workable consider less feature-rich sturdy options. Add elements of your personality to your space. Throw cushions and bean bags and elegant plush to your room. Pick colorful fabrics for the curtain and complimentary throw pillows. If vintage wooden furniture is your style, use candy colors or warm yellow in your movie space as well as vintage fabrics. Monochromatic chic furniture is modern and stylish. Work in plush lounge chairs or couches for a clean yet comfortable look that welcomes your guest. Complete the look with appropriate side tables and even comforters. Be inspired by a thematic, edgy or traditional room and explore with various options. Some people are enthused about emulating a cinema experience. If you are one of them, you would love the custom media room curtains that some companies provide. Using such curtains, you can unveil your screen with pomp and style and create an awesome cinematic experience. Such curtains can be remote controlled operated. 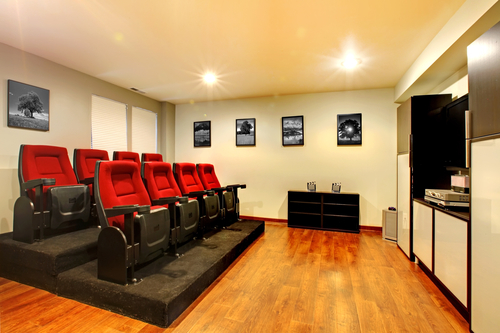 Think you need to personalize your home theater space more? Consider using artwork in your space. They make a wonderful addition to the area while showcasing your taste and style in an apt manner. Put up vintage movie posters on the wall, have quirky quotes put up if your room speaks boho chic style, or have one beautiful artifact mounted on the wall to keep it chic. Movie memorabilia, autographed headshots, photographs of movie artists, or even a small slick bookshelf adds an element of charm to your home theater space. If you are not into styling all that much and would rather add to the fun experience of the space, get a popcorn machine for the room. Use this list of décor and design tips to inspire the home stylist in you. 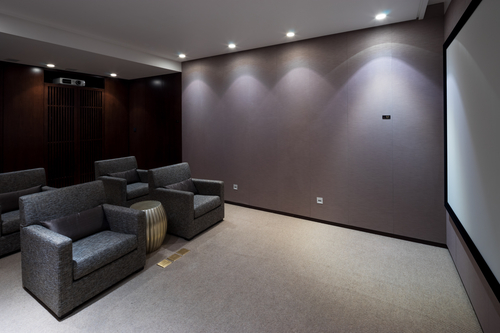 Create a home theater space that you’ll enjoy for years to come and welcomes friends and family to stay a while.